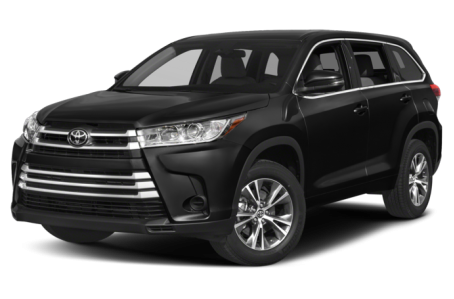 The 2018 Toyota Highlander is a midsize SUV that seats up to eight passengers across three rows. It has two V-6 options – a standard 185-hp, 2.7-liter V-6 engine mated to a 7-speed automatic transmission and a more powerful 295-hp, 3.5-liter direct injection V-6 paired to a continuously variable automatic (CVT). Front-wheel drive comes standard, while all-wheel drive is available. The Highlander competes with the Ford Explorer, Mazda CX-9, and Dodge Durango. Six trims are available: the LE, LE Plus, XLE, SE, Limited and Limited Platinum.